We frequently get emailed the same series of questions from potential clients of ours. The exact. Same. Questions. I started wondering where people were getting this information, so I did a Google search for questions to ask your home inspector. I found a ton of them, and they were all pretty similar. I applaud anyone who interviews home inspectors and does their homework, rather than going with the cheapest company. I'm not shy about saying that we charge more than most other home inspectors, and yet we still don't charge enough for our inspections. Ok, I'm getting side-tracked. Rather than taking the time to answer all of these questions every time some of our more motivated shoppers sends us an email, I'm being proactive about it. I've compiled a bunch of questions that various websites recommend you ask your home inspector, and I've included some commentary on why this is or isn't a question in italics, then I gave my own answer to the question. Can I see a sample home inspection report? I believe that reviewing a home inspection report is the single-greatest way to compare home inspectors. This is the best thing to ask for. Take the time to actually read the sample report; don't just gloss over it. Almost all home inspection reports are filled with photos nowadays; this doesn't equate to a good report. We're proud of our reports; see our sample home inspection report. How do you define major problems? I have no idea why this is a recommended question to ask your home inspector, but I've been asked this question dozens of times. Maybe people are afraid that we'll ignore stuff that isn't a major problem? That's a tough question to answer. If I had to give a short and sweet answer, I'd say anything over $500. This isn't a great question, however, because what's major to us might not be major to the client, and vice-versa. At the beginning of our home inspection reports, we have a hand-crafted summary of the stuff that we felt was the most important to bring to our client's attention. These vary from report to report. I've told all of my inspectors to decide on summary items like this: your sister is buying the house and you have 30 seconds to tell her what you found. What will you say? Smoke alarms are important life safety devices, but will this affect her decision to purchase the home? No way. This information shouldn't go in the summary, as important as it may be. The summary is the big stuff. 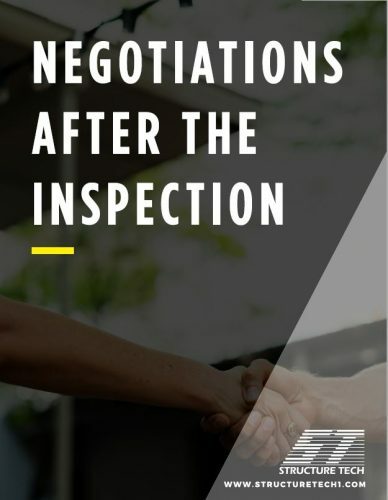 For some examples of things that we might include in our report summary, please check out this document that we put together, titled "Negotiations After the Inspection". What training and experience do you have? With all other things being equal, the more the better. More training and experience doesn't mean you'll get a better a home inspection, however. I participate in a lot of online discussion forums, I attend national conferences, and I attend monthly home inspector meetings. There are plenty of experienced inspectors who have been doing things wrong for a long time. For a single-operator home inspection company, this is an easy question to answer. For a multi-inspector company such as ours, not-so-much. It's a different answer for every inspector. My dad has been doing home inspections for nearly 30 years and was a carpenter before this. Our newest inspector, Joe, trained with us for about four months before doing inspections on his own. He also worked as an HVAC contractor, a plumber, and a general contractor before this. We have the profiles of all of our inspectors listed on our website. Can I come to the inspection? This is an excellent question. I might even change the question to "can I attend the entire inspection?" Most home inspectors prefer to have their clients show up at the end, especially if they write their reports on site. Yes, we encourage all of our clients to attend the entire inspection, if they have the time. Do you carry professional liability insurance? I know many home inspectors who will simply say "good day, please find someone else" when asked this question. Asking your home inspector for proof of insurance is not a great way to start off a relationship, but I understand that many of my clients simply ask this question because someone told them to ask. Yes, we carry professional liability insurance. Do you stand behind the report, or is there a clause limiting your liability to the amount of the inspection fee? See my note about the previous question. When someone starts out with a question like this, I think to myself "why, are you looking for someone to sue?" This is not a good question to ask because you'll get the same answer from everyone. This is also a poorly-worded question because it implies that if an inspector limits their liability, they're not standing behind their report. For the relatively small fee that a home inspector charges in relation to the price of the house, it doesn't make sense to offer unlimited liability. I don't know any inspector who does. While our vision is a perfect inspection every time, we're all human. We will never catch everything. Yes, for the love of love, we limit our liability to the amount of the inspection fee. This is standard for home inspection contracts. We omitted this for a short period of time several years ago, and the attorney for our insurance company just about came unglued. Have you ever written a report that caused a buyer to walk away from a sale? I can't imagine any home inspector ever saying "no" to this question. This isn't a great question to ask. Yes, we've written countless reports that have caused buyers to walk away from sales. This is a natural consequence of Delivering the Unbiased Truth. Just check out our reviews on Google and Yelp. It seems that every other review includes a story about a house that someone didn't buy after getting a home inspection through us. There are even some real estate agents who won't let us inspect their listings because they've had too many deals fall apart after our inspection. They don't blame the house, they blame us. More on that topic here: "I heard you're a little psycho." Do you have any training/experience/certifications specifically related to being an inspector? I don't know what the right answer should be for this. The more the better, I suppose. There are many home inspection schools, but as I've blogged about in the past, that's only a small step. At a minimum, all of our inspectors are members of the American Society of Home Inspectors (ASHI) and have passed the National Home Inspector Exam. All of our inspectors have also undergone our rigorous internal training program, which lasts from four months to a year. I don't send my inspectors out on their own until I'm confident in their ability and proud of their written reports. Don't ask this question. Anyone can provide references, but do you really want them? They'll be hand-picked. This question might have made sense ten years ago when Angie's List was the only game in town. Today, we have things like Google and Yelp, and Angie's List is now free. Look for reviews there instead. The inspector has no control over those online reviews. In the past, when people have asked for this, we've contacted our last three clients randomly. We call or email the clients and ask if they're willing to chat on the phone with a potential client of ours. It's always a little weird, and it doesn't happen often, thankfully. But we'll still do it if it's needed to gain a customer. 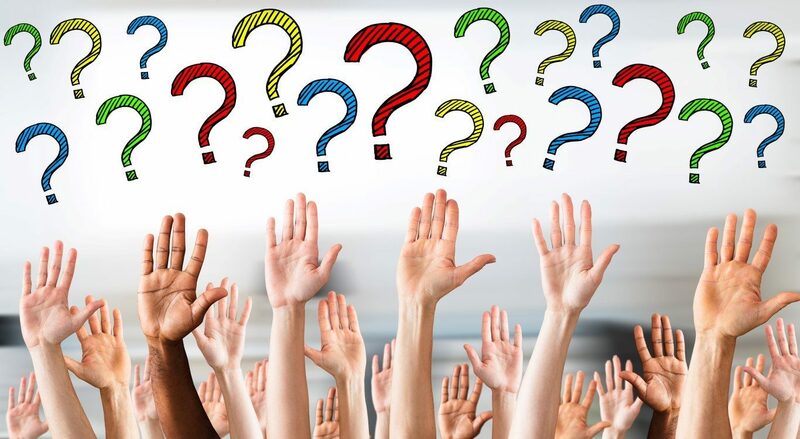 For more home inspection Q&A stuff specifically related to our company, please check out our FAQ page. Reuben Saltzman is a second-generation home inspector with a passion for his work. Naturally, this blog is all about home inspections and home-related topics in the Twin Cities metro area. In addition to working at Structure Tech, he is also a licensed Truth-In-Sale of Housing Evaluator in Minneapolis, Saint Paul and several other cities. Shopping for a new smoke alarm? Stop. Don't even go to the store until you know exactly which smoke alarm you want. Carbon monoxide alarms are required for most dwellings in Minnesota, both by Statute and by Rule. Here are the details about most scenarios I can think of. By applying electrical tape to the portion of my ladder that leans against the gutter, it no longer scratches the gutter. The tape lasts for a long time, and it's easy to replace when needed. Water leaks and water backups can occur in many places throughout the home. Here's a way to reduce the potential for water damage. According to the CPSC, an estimated 22,300 residential structure fires occur every year as a result of a Fireplace, Chimney, or Chimney Connector fire.